Who is (was) Lord Krishna? : Sri (lord) Krishna is a major deity in Hinduism. He is worshipped as the avatar of god Vishnu and also the supreme God in its own right. He is a special character during Mahabharat war and known for his gift of Bhagavat Gita. He was born in Mathura (in Uttar Pradesh) during in Dwapar Yug. His date of birth is given in various dates as: July 21, 3227 BCE (before Christian era), July 18, 3228 BCE, June 18, 3229 BCE. He lived around 125 or 126 years and died on the banks of Hiran river (in Gujarat). His date of death is given as February 18, 3102 BC, marking the start of the Kali Yug. Lord Krishna was 89 years old on the 1st day of Mahabharat War. This means that Lord Krishna was on this planet earth at around 5245 years BP (before present). He had 16,108 wives in his lifetime! But, Radha was not His wife! When did Mahabharat happen? It is believed that Mahabharat war commenced in November 3139 BCE at Kurukshetra (Haryana) and ended in 18 days with death of Duryodhana. On February 05, 3140 BCE, Aswamedha Yagna was started by Yudhishtir. That means that Mahabharat war is believed to happen at around 5156 years ago from now. Who was Rukmini (Rukmani)? She was the principal wife and queen of the lord Krishna. Rukmini is the first and most prominent queen of Krishna. Rukmini is also considered an avatar of Lakshmi, the Goddess of fortune. She was born as a royal princess from Vedic #Aryan tribe. Rukmini was the daughter of Bhishmaka, the king of Vidarbha. Vidarbha is the eastern region of the Indian state of Maharashtra, comprising Nagpur Division and Amravati Division. Its former name is Berar (Varhad in Marathi). It borders the state of Madhya Pradesh to the north, Chhattisgarh to the east, Telangana to the south and Marathwada and Khandesh regions of Maharashtra to the west. Birthplace of Rukmini has nothing to do with Northeast states. How is Madhavpur (in Gujarat) coming into picture? Rukmini’s parents wanted to marry Rukmini to Krishna but Rukmi, her brother strongly opposed it. According to folklore, Krishna came to the village of Madhavpur Ghed after eloping Rukmini and got married to her at this very place. A celebration of this event is held at Madhavpur in memory of this marriage every year in a cultural fair. At Dwaraka (in Gujarat), Krishna was married to Rukmini with great pomp and ceremony. Therefore, Madhavpur fair (mela) is arranged this time at national level and the above speech was delivered during the fair. What Science Says? If we see the history of the earth in the geological timeline, earth was formed around 4.5 billion years ago (1 billion = 1,000,000,000). The entire geological time scale is divided into Eon, Eons to Era, Eras to Period, Periods to Epoch. We are at present in #Holocene epoch of Quaternary period of Cenezoic era of Phanerozoic eon. Modern human beings have just evolved/appeared on the earth in the pleistocene epoch in around 2,000,00 years ago only according to “out of Africa” theory. Our presence on earth is 0.004 % of the total timeline of the earth. Human beings are just born Babies according to the geological timescale of earth. 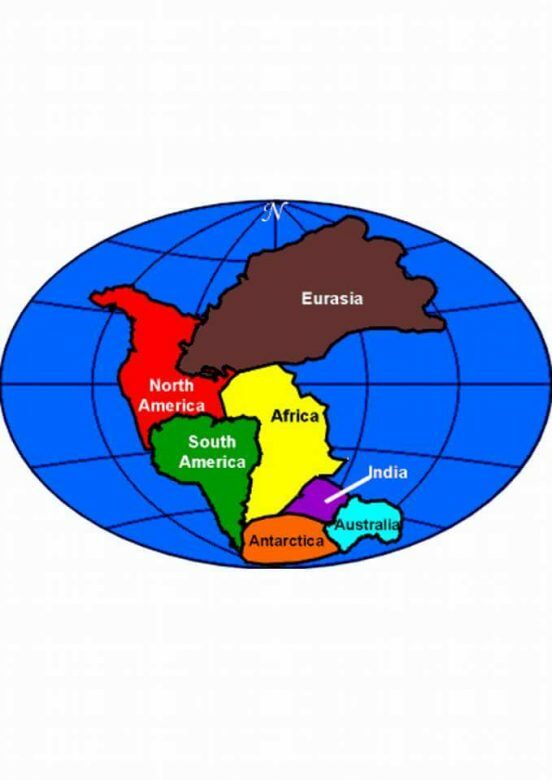 According to Continental drift theory (Wegener theory), the entire earth was having only one supercontinent called “Pangaea” around 335 million years ago (1 million = 10,000,00). Around 200 million years ago, the supercontinent Pangaea began to split into two continents called – Laurasia and Gondwana. Specific to the context of Indian subcontinent, what is now India’s southwest coast was attached to Madagascar and southern Africa, and what is now its east coast was attached to Australia, before the continental drift. 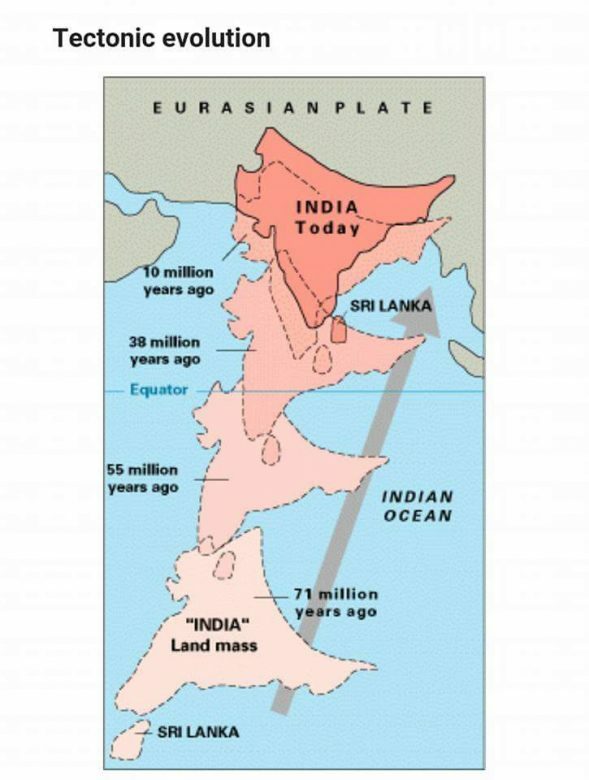 Due to continental drift, the India Plate split from Madagascar & Africa around 90 million years ago, continued moving northward and finally collided with the Eurasian Plate resulting in the formation of the Himalayas in around 50-55 million years ago. Kangleipak (present northeastern-India Manipur) is part of India Plate geologically and initially it was submerged inside ocean till Paleocene epoch (66-56 million years). As the India plate continued to move towards the north, Kangleipak emerged out of the oceanic water during the Eocene_epoch (65-34 million years ago) with the mountain “Koubru” firstly emerged along with its ranges surrounding the present Imphal valley. Therefore, Kangleipak is sometimes described as “Eeronnungi Mani (yai)” and “Awang Koubru Asuppa, Yoimayai Khunda Ahanba” . Thus, Kangleipak become into existence around 50 million years ago during the Eocene epoch. The Lai people or the Leima Lai people were the human beings who were inhabiting on the tops of the present Koubru Mountain and its ranges surrounding the present Imphal valley, once full of fresh water as an inland sea. When the imphal valley become dry because of natural causes, when rivers and rivulets got drained the water towards the south of the Imphal valley, the Lai people came down to the Imphal valley, first occupied the present Imphal Kangla and its surroundings, as the areas were first got dried, and became the present Meetei people. The time of the coming down of the Lai people from Koubru to Kangla was around 17,291 years BCE or 19,308 years ago (BP), according to the findings of Potshard (chafu cheigai) at Kangla as per Kangla Excavation report of 2009. It may be mentioned that the oldest pottery found in China (at a cave in Yuchanyan) is dated to be 17,500 to 18,300 years old. Also, the Indus valley/Harappan civilization is dated to be around 2000 years BCE. This shows that human settlement in Kangleipak was one of the oldest in the history of human evolution/appearance/civilization. It may also be mentioned according to Meetei calendar, present year 2018 (21st century) corresponds to Maliya Kumsing 3415 (36th century). Also, it is a well known fact that Hinduism entered Kangleipak in 1709-1719 (early 18th century) during the reign of king Pamheiba. And subsequently the name Manipur is given to the land instead of the name Kangleipak in 18th century. 1. Rukmini was princess of Vidharba kingdom in present Maharashtra, but not from/in northeast. 2. Lord Krishna, born in Mathura (UP), had lived around 5245 years ago and no records found of His visit to Kangleipak. Meeteis lived in Imphal Kangla 19,308 years ago. 3. 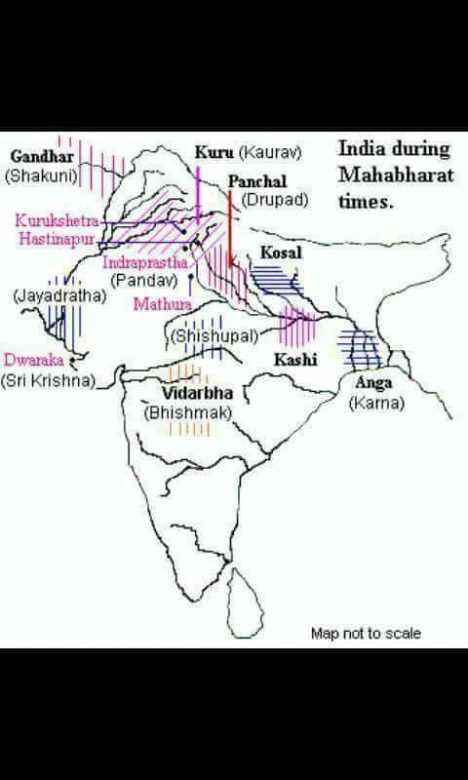 Mahabharat epic had happened 5156 years ago at Kurukshetra (Haryana) and Kangleipak was not having any role in Mahabharat epic as per India map during Mahabharat. 4. Manipur or Manipura in Mahabharat epic was not Present north-east India Manipur as Kangleipak was the name of the land. 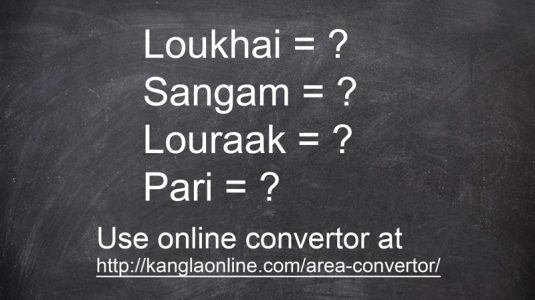 There are no findings of name Kangleipak in Mahabharat epic. 5. Geologically, Kangleipak (present north-east India Manipur) was a part of India Plate since 335 million years ago, before the birth of Lord Krishna who was living in 5245 years ago. 6. Politically, Kangleipak (present north-east India Manipur) merged into India in October 15, 1949 while forming the country India. Lord Krishna has no role in the unification. 7. Geologically Kangleipak (present north-east India Manipur) is at least 50 million years old (500 lakh years) and is sufficiently old to support Modern Humans who were just appeared/evolved on Earth in 2,000,00 years ago (2 lakh years). feedback of my very own , would be thankful if you could reply or recognize my recommendations to make this site more content focused .